according to the drilling mud conditions. bowl speed minus the gearbox input speed and divided by 57. America, the explosion proof standard is UL for USA, and CSA for Canada. 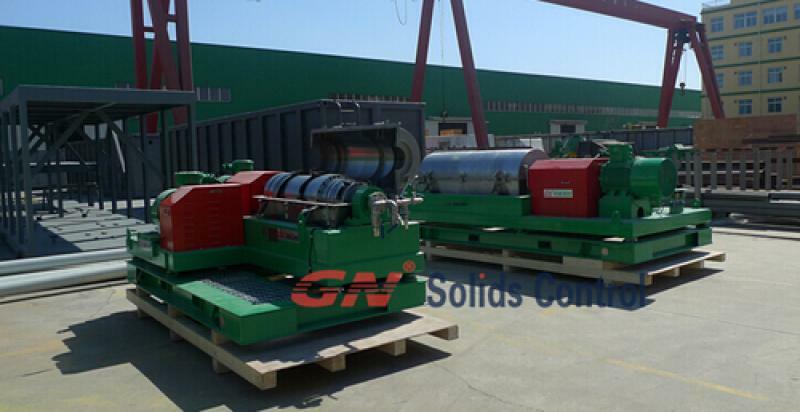 drilling mud decanter centrifuge by HMI screen. big volume centrifuge with 22inch bowl and model is GNLW553C-VFD. 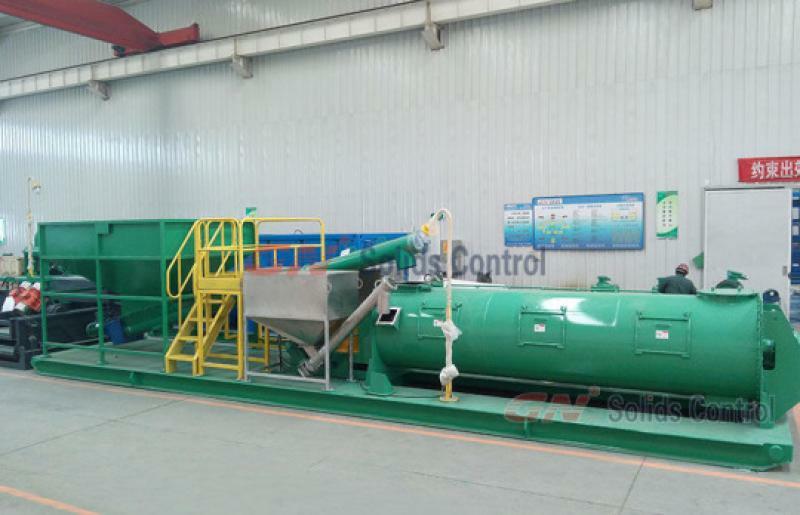 Per different control system, there are fixed speed decanter centrifuge and variable speed control (VFD) decanter centrifuge. As the bowl speed and conveyer speed is fixed, cannot be changed, fixed speed control centrifuge is easy for operation and maintenance. And price lower compared with the same model VFD centrifuge. For the same model centrifuge decanter, VFD model cost more than fixed speed. Per International Explosion-proof standard, there should be positive pressured control panel for variable speed control for better cooling. It requests more professional on operators for the VFD decanter centrifuge. 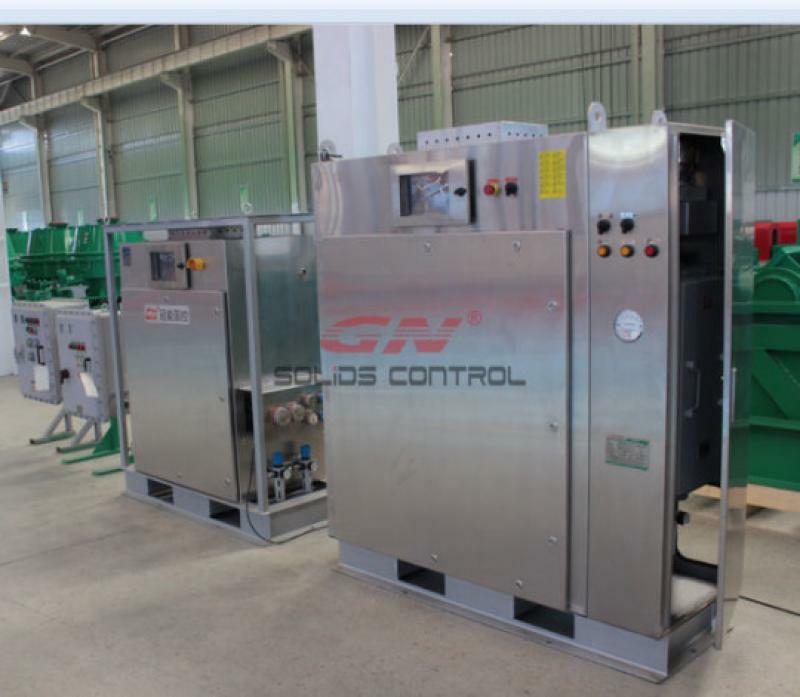 For GN design VFD centrifuge, the bowl speed, conveyer speed and feeding pump flow are all flexible. Customer can change one or all of the 3 parameters to get the best separation performance in different jobsite. An and customer can change centrifuge parameter for getting the max. capacity centrifuge can reach. 1) For a bigger capacity, we should reduce the BOWL speed and increase CONVEYOR speed. Then pump will running to the max. capacity it can reach. 3) The back drive motor is opposite rotating under low speed and high conveyer. If centrifuge shut down during running , reduce Conveyer speed. 4) For this centrifuge, the max. capacity will be not over 30cbm. As the pump max. capacity is 30cbm.